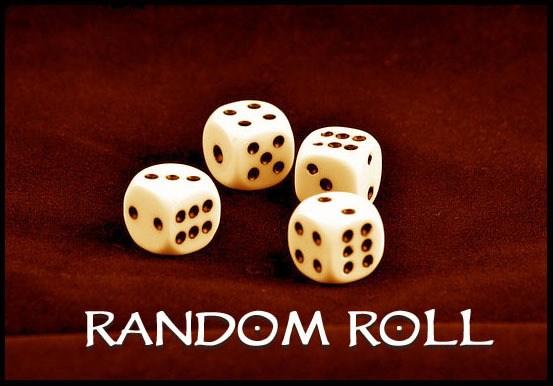 With random rolls often- especially when adding racial bonuses after rolling – you often get a character that is abnormal for his race. We’ve seen super strong gnomes, elves that lack mental acuity, and incredibly charismatic dwarves. This weak however our catfolk is near the top in what his race is known for, dexterity and charisma. So what class will we choose? Let’s see how things go this week. Parents: Both of your parents are alive. Siblings: You have 2 biological siblings. Circumstance of Birth: [Lower-Class Birth] You were born among peasants or slum denizens. You grew up working the land around a village or manor, practicing a rudimentary trade, or begging in a settlement. Major Childhood Event: [Betrayal] A friend or family member whom you trusted more than anyone else betrayed you. You have never fully trusted anyone since and prefer to rely on your own abilities rather than place your trust in others. Influential Associate:[The Pariah] You met a disgraced exile, and found in his words and attitudes something that spoke to you. What once seemed true in your religion, society, or family began to appear false the more time you spent with this person, and you quickly learned not to trust everyone you meet—especially among those who would claim to be most deserving of it. Conflict: [Destruction] You destroyed someone else’s property. Conflict Motivation: Hatred or Malice. Conflict Resolution: [Denial] You feel little if any regret, and deny the event mostly so others won’t judge you. Few if any know of your part in the conflict, and your constant denials are meant to keep it that way. Romantic Relationship(s): [Several Inconsequential Relationships] You have had many lovers but no long-lasting, meaningful relationships. Drawback: [Reputation or Fame] You’ve worked hard to establish your identity and reputation, and someone who slanders or insults you must answer for it. You strive to promote your identity to the point where everyone knows your reputation. In the comments please tell us what character you would make with these disparate pieces information? What class would this catfolk naturally gravitate towards? Who betrayed him? Why does he worship the Empyreal Lord of athletics? Who was his outcast mentor? And don’t forget to stay tuned Friday when my background hits the CRB. The CRB not only brings you the creative content you desire but makes you look inside for your own creativity. If you feel both inspired and pushed to created please consider supporting your favorite content provider – that’s me right – by pledging as little as $1 on my Patreon or making a direct donation to my Paypal. If you don’t want to miss a beat make sure you sign up to get the CRB pushed directly to your e-reading device with Kindle Subscriptions through Amazon. And to keep up with my other musings and thoughts you can follow the CRB on Facebook, Google+, Tumblr, and Twitter. Dilcker was always a nice lad, respecting his elders, kind to his friends, and sought to follow his parents meager profession. They were never rich, but more importantly never unhappy. One day he was called into a fortune telling booth, expecting in full to be conned. In truth he was, but has yet to figure it out. He left with a harrow deck and quickly studied all the ways to use it. He learned to con others in 3 card monte, throw them with deadly precision, and even make some money with his newfound Sleight of Hand to provide for his parents. He would regularly visit the tarot reader who greatly encouraged his behavior. Until recently he suspected nothing but good will from the harrower, but since his own magic began to grow he secretly checked around the readers room and found a dark and powerful deck. A kind of corruption almost billows out of it, and the harrower keeps saying he has a gift to give him when he's ready. He has a plan to destroy it, but it's at the risk of his relationship with the reader and the whole of his shop. But it might just be a price he's willing to pay to protect himself and those who he might afflict. Nice work. I can say it is totally different than what I came up with. I like that two people can look at the same stats and come up with something different.